Is there any way to print WeChat messages on my iPhone? Google the key words “print wechat messages”, I got a bunch of hits. Below is what I’ve figured out- two simple methods to print iPhone WeChat messages. In order to export and transfer WeChat messages from iPhone to computer, what you need is the help of iRefone (or Mac version). This software could not only help you transfer WeChat messagesfrom iPhone to computer, but also recover deleted/lost WeChat data from iOS device, iTunes/iCloud backup. 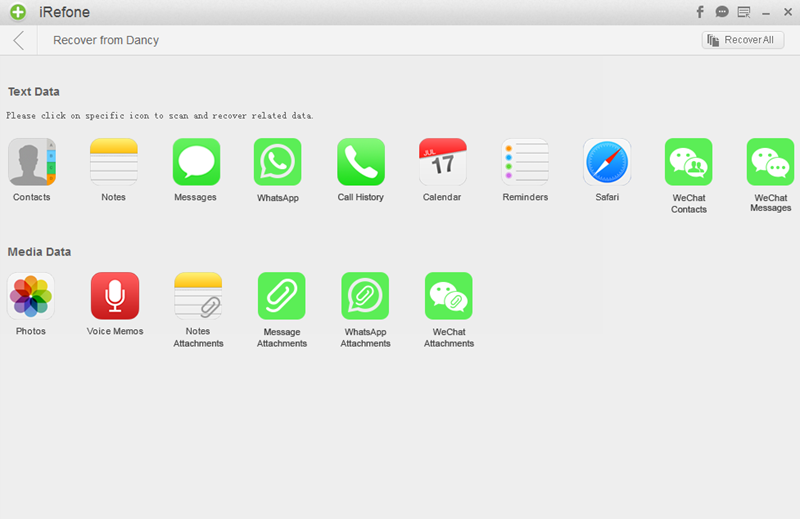 Beside WeChat, other data like messages, notes, contacts, call history, photos, wechat and more are also supported. Keep on reading and we will show you how to export iPhone WeChat Messages for print. 1. Connect your iPhone to computer. 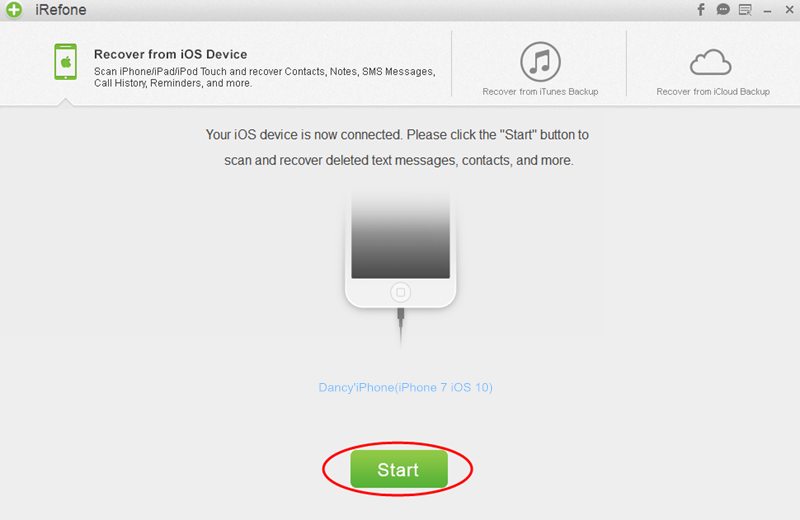 Click “Start” after your iPhone is recognized by iRefone. Note: If the program does not recognize your iPhone, please check whether you have plugged in your iPhone properly, or whether you have trusted your computer on your iPhone. 2. Then it will ask you to choose the data you need to scan in iPhone. Click on the icon of WeChat Messages to start the scanning. 3. When the scanning is finished, all of the WeChat messages will be displayed. You could preview these messages in the software and select these you need. Then click on “Recover to PC” to save these data. Tip: The WeChat messages will be exported as CSV and HTML file, just choose the format you like to print. If you do have an AirPrint-enabled printer that’s good for photos, you’re ready to go. > Tap the Share button at the bottom-left corner of your screen. > Tap Print and you’ll be able to print it. > Your iPhone will automatically detect and list nearby AirPrint-enabled printers, so you can select and print to them.